Joe Gomez is the best English defender right now. He’s better than John Stones, Harry Maguire or anybody else you’d care to mention. The defender is an absolute Rolls Royce alongside Virgil van Dijk, and it’s no longer the case that the Dutchman is simply making him look good! In terms of attributes, he has everything you’d want from a centre-back: he’s rapid, strong, reads the game well, is completely composed and superb on the ball. So it’s no surprise he’s got his own song, which you could hear on the Kop last night! Our friends at The Redmen TV shared a video of the chant which has its origins from the victory over Spurs back in September. Back videos are available below! AIN'T NOBODY, LIKE JOE GOMEZ! 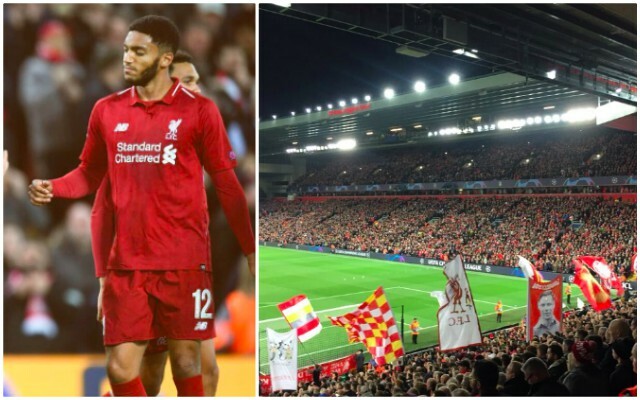 The Kop sing for @J_Gomez97 after another top-class performance from the young centre-back!